The award, given annually by INSIGHT Into Diversity magazine since 2012, recognizes colleges and universities for outstanding diversity and inclusion efforts across their campuses. 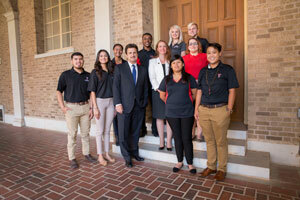 Texas Tech University has received the Higher Education Excellence in Diversity (HEED) Award from INSIGHT Into Diversity magazine for the sixth year in a row. Of the 79 national recipients this year, Texas Tech is one of only 15 that has earned the award every year since its inception in 2012. INSIGHT Into Diversity is the oldest and largest diversity-focused publication in higher education. Institutions receiving the HEED award feature innovative and impactful diversity and inclusion programs, initiatives, policies and practices that make a campus a welcoming and diverse place to work, study and thrive for students and employees. Texas Tech continues to expand services and resources within an ever-broadening definition of diversity on campus, which includes, among other areas of diversity, race and ethnicity, gender, age, veteran status, the LGBTQIA community and people with disabilities. 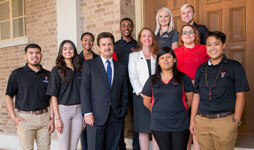 Efforts within Texas Tech's Division of Diversity, Equity & Inclusion (DDEI), formerly the Division of Institutional Diversity, Equity & Community Engagement, are focused on creating an environment of collaborative partnerships in which students, faculty and staff can develop professional skills, individual creativity, personal excellence and social awareness. As a recipient of the annual HEED Award, Texas Tech will be featured with the other recipients in the November 2017 issue of INSIGHT Into Diversity magazine. For more information about the HEED Award, including a full list of recipients, visit the INSIGHT Into Diversity website.